Yes, lot’s of funny things are happening on the government side giving opponents of freedom and good governance (yahapalanaya) so much fodder for their relentless campaigning and unfettered mobilising. Many backers of yahapalanaya seem to be getting distracted and confused. In a fit of frenzy, the latter are going astray chasing this political personality and that; this political alternative or that. The straying supporters have forgotten just one thing, namely that the weird events happening are itself a product of the bad system that yahapalanaya has to uproot. The faults are systematic-individual politicos all being caught up in a horribly dysfunctional system. The holes are widened and exaggerated by a liberated media not conscious of the gift of freedom they have won. They are exploited by the MPs and backers of the euphemistically-called “Joint Opposition,” as though the latter have been just incapable of the horrendous charges of dishonour, corruption, abuse, and murder relating to the appalling period of their rule. In a way, it serves this government right. In a way, it shows up the mighty talent and resourcefulness of the men in opposition. The overall effect on the 62 lakhs of voters who voted for a revolution is disbelief. Maybe Mahinda Rajapaksa’s countless mantras in sovereign gold tied on his fingers, are, at last, working. Maybe the breaking of coconuts by the Opposition is working. First, we have the President himself appearing to speedily head toward alzheimer disease. At least, that is the impression many of us, once admirers of Maitripala Sirisena, do reluctantly entertain. What the truth here is I cannot be sure, I admit. On the other hand, President Maitripla Sirisena needs, badly, to squash the rumours and announce that he is firmly with the Unity Government. More important, he has to demonstrate that in every public statement he makes. He has to avoid suggestive comments that keep the rumour-base floating. “I will use my sword,” says the President, to cut anyone regardless what side he is! 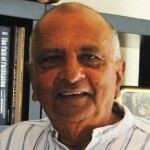 This kind of expression points the finger not at the controversial characters he imported – some of them scumbags from the Mahinda group – but at the MPs of the United National Party and other constituents who, in the first place, had worked hard to catapult him to this unexpected this high office. Maitripala Sirisena has to be careful of his words as words can be provocative knives. They have already provoked UNP firebrand, Lawyer Sujeewa Senasinghe, who wouldn’t keep his mouth shut. One can understand, the President must be having reservations about some of the activities of the UNP. The wise approach to sort out differences would be to chat over them with Prime Minister Wickremesinghe. If he believes the PM himself in error, then he can, in private, advise the latter. Or, he could make an inoffensive unilateral move like how he appointed a Commission of Enquiry into the alleged Bond scams when the PM was dillydallying and the Opposition roaring. Not that Maitripala hasn’t problems and contradictions of his own and relating to his own hurriedly – constructed camp. I would, rather, not spell them them out here, since my purpose is to encourage the yahapalanaya government to keep going until it achieves the final goal of a new constitution, which alone can help eradicate the old and rotten system and bring in the promised dawn. The Constitution -making process that is now going on is proceeding along sound principles of broad consultation and creativity. It is the President’s fundamental obligation to have that completed and have it win the public referendum. On the other hand, if he permits this state of affairs to continue and switch over to his own go-it-alone ambitions he will be doing something that will never work for him and for which blames the people will never forgive him. To be sure, as I have spelt out in detail in a previous article, this Unity Government headed by Maithripala Sirisena and Ranil Wickremesinghe has achieved a substantial amount of progress. A few days ago, the IMF itself payed tribute to certain positive trends in the economy after its collapse under Mahinda Rajapaksa. Things are happening and the country is raising its head. The economy needs time. On the other hand, the main failure – line is not being able to bring the offenders of the past to book. People are waiting for that. Thus, any attempts by Sirisena to distract himself by a personal adventure at this stage would be suicidal for him and disastrous for all those who joined this government to install yahapalanaya. That would be the biggest let-down in Sri Lanka’s political history. Every citizen must listen to a wonderful speech by Revd Dr Dambara Amila recently where he both warned and advised President Maitripala Sirisena on similar lines that I have. President Sirisena must leave aside any private adventures and re-dedicate himself to represent the promised revolution that alone will awaken our nation. If he doesn’t, the struggle will continue into the future probably violent phases – engulfing him, his men, and the country. The simple logical reason is that that yahapalanaya is a must and the current contradictions must lead to that Hegelian dialectic. Is Sri Lanka A 'Killing Field' Full Of Toxins Where People Die Of Chronic Disease? Scum bugs like dayaseree, Deelan and soosil should be sent 6 feet down. Already the supreme court has given a clear verdict GETOUT! Oh! ……… I give up! One should be a raving lunatic to try to rationally analyse what the Lankans have done in the last 70 years of independence …………Donald Trump is much more conducive to rational analysis than the Lankans ………..there’s a method to his madness. 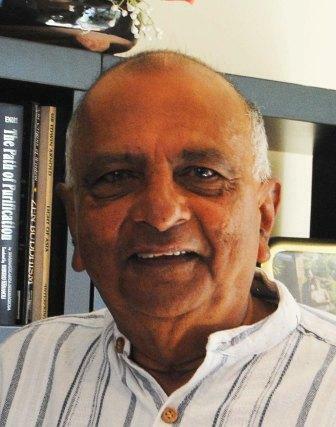 In spite of all the daily scholarly …….attempts at analysis …..the only Lankan who got it right is Mr Udurawana! In two classics lines he summarised the Lankans! ……….Nobel Prize to him! There are indicators seasoned investors look for …….. in the bond-market, the stock-market ………..to gauge where the markets are heading……………. To me, the indicator is, ……..when the Lankans start to obey the road/driving rules ……..I’ll know that collectively Lankan society has arrived at a point in the social-evolutionary process where the application of a rational method of development/forward-march is possible. ……………..until then we are only just slugging through the social-evolutionary process …………..Remember, the societies/countries that we look up to as a model/models to aspire to, ……… their people too were once hanging from trees…………. It’s only, they are somewhat a wee bit ahead of us ………..
All you esteemd learned gentlemen who write here ………just sit back, take a little time and think ………….In the fleeting moments that rational thoughts permeate your minds, do you in your wildest dreams believe that what you write here will have even an iota of effect for change? ……….The question any rational adult – in most cases adults who have had years of “deep” learning – has to face is, why are we still writing when the futility of it all is so obvious ………That’s why the only intelligent Lankan adult was Mr Udurawana, who without wasting time summarized the whole shebang in two lines………. Now, before I miss my appointment with my shrink ………let me go and figure-out why I write here……………. “Yahapalanaya” refers to Just Rule. I ask you, is there even a semblance of that lofty aim, right now? Yahapalanaya is just a fancy word concocted by the some political opportunists to fool gullible masses to garner votes. There is no Yahapalana culture among the political opportunists to be an example to the masses. There is only hatred and greed among these political opportunists. They should be banished from Sri Lankan political arena. This is a partial solution to a bigger problem. I think we should deport all the descendant of Kallathonies, about 21 millions of them back to their motherland in South India. As Thai Pongal begins, Tamil families here in the UK and around the world are coming together to celebrate. It’s a time to cast out the old and embrace opportunities to come. A time to give thanks not just for the harvest, but also for friends, family and neighbours. And it’s also a great opportunity for all of us to reflect on the contribution made by Britain’s Tamils. Your community punches well above its weight, making a real difference to countless lives right across the country. I want this to be a country where everyone, regardless of their background, can play their part and achieve their ambitions. Our Tamil community is a fantastic example of what that looks like, helping make Britain the diverse, successful country we are all so proud of. So to everyone celebrating today and in the days to come, let me wish you all a happy Thai Pongal, and an auspicious year ahead. Your brethren Tamil man Rajash who is in the UK is doing well after all. Probably he had bought the prime-minister Theresa may , his cabinet, MPs’ , the opposition etc, ……………. Native Mate, does Ms. May have any idea where the UK Tamil people are from? Does she think they are from the Southern Hemisphere? Australia perhaps? Who brings in the harvest in January? The madam from No. 10 Downing street should have read up before jumping on the band wagon. By the way Native do you know why Thai Pongal is celebrated? Hint, it is to do with the Sun. Yes…. The Yahapalanaya must not get distracted from its goal and must plan the next central Bank Loot. Are you saying the Yahapalanaya should share the loot with the clan and crony which do you think will absolve them from their crime? Great writing, Shyamon. I like Revd Dambara Amila’s speech. If the problems with Yahapalanaya is just “oddities and lapses” and if the PM is doing such a fine job (even getting praise from the IMF), my question dear Shyamon is…. Why are you domiciled in Australia? Why not come back here to Sri Lanka? I am sure you can deal with a few “oddities and lapses” can’t you? Mr. Shymon: You said: ” If he believes the PM himself in error, then he can in private advise the latter” Did your PM listened to that advice, when he (PM) was told to let go Mr. Arjuna Mahendran from the Central Bank? Even at the time of that appointment, the President said so, because many in the Cabinet was against bringing Mr. Arjuna M. When PM did not listen, the President went public with that request. If the PM listened to the President and some of the Ministers in the Cabinet, this “Bond Scam” would not have come up. Then Mr. Senasingha would not have written a book and we would not have heard of a “Foot Note Gang” headed by Mr. Harsha de Silva. Now tell me who is more afflicted with “Alzheimer” just within 60 days of beginning of “Yahapalanaya”? No doubt, even more sensible and sane people go CRAZY in association with over a three year period with such sick people. So Mr. Shymon, keep off these sick people. There is a List of Yahapalana goals. The first one was looting the banks and employee provident funds which they did within the first 40 days of the 100 day govt priorities UNP leader, UNP leader, State minister Sujeewa Senasinghe who was appointed write some lies in a book and many more are all bank robbers. .They fattened their accounts, bought houses, got luxury car permits at the expense of the country. Now planning a vision 2025 planned by CIA and IMF. Shyamon Jayasinghe: Inthe Yahapalana govt, it is all the UNP ministers are highly active. in 1980, Sri lanka built a manufacturing plant to repair or build railway coaches. IT disappeared, or did not expand.. India is building the same. should be cheaper. Now, Horapalanaya is going to import railway coaches from USA a country which has very high manufacturing costs. Even one UNP minister began a company in Eastern Canada and within two years went bankrupt and closed. Realizing his unexpected windfall of being President, Sirisena should take a cue from former President Wijetunge. He should preside gracefully, let Ranil run the show and leave his position as promised, in dignity. If he tries politiking, it will be his ruin. Revd Dambara Amila is one of the most progressive monks we have. He is rational. Never racist. Not somebody willing to die for the Sinhala race. Not the jathyalaya type. May he be blessed to serve our country and lead the army of igorant monks. Did you shut up after “The Rising: Nugegoda Feb 18th 2015? Potential candidates are Wimal Sangili Karuppan Weerawansa, the national hangman, Sajith Premadasa, LSE qualified London returned Bhumiputra economist, Namal Baby, or even yourself. Now, now no need to lose your cool………. if you are so sure of a win, why give way to anger? Be happy that the dreams are finally lapping at your door. And it’s gonna be milk and honey from now on. Gotta be fair to Ranil ……he isn’t a robber but thinks he is smarter than he really is; just like Dayan ………. Ranil thinks the vote is going to be split between the two SLFP sides and he is in for a rude shock. I too think it’s gonna be a landslide for Mahinda………….. Well, that’s the motherland in a nutshell. A week is a long time in politics! ……I think the nominee’s gonna be Donald Trump Jr. ………can do a lot worse than that …….. who exactly do you guys have in mind that should lead the country? Well said Dayan. He is a real scumbag. He has absolutely no sense of balance writing. Is there anyone else you have in mind or point to who is a person of balance writing? Not yet ideal Yahapalana but there are signs we are on the way. Acceptance of the judgement on the term of office – no Wimal brigade trying to impeach. The SC judges were not intimidated. Signs of independence of the judiciary. From the days of the “Nugegoda Uprising,” Dayan Jayatilleka has been going down the drain as far as the caliber of his writing is concerned. Now even the Rajapakse camp doesn’t take this man seriously. TV does not give him programs. He is no longer given the front row seating. This is the plight of dishonest and greedy persons. On the other hand, Shyamon Jayasinghe has risen to the peak as a popular writer. IMF paying tribute is a positive thing? Says all about the authours concern for this country. Nothing can be more dangerous to a third world economy than taking up loans from this organisation. It is nothing but a vulture and an instrument in the neocon agendas. It causes destruction where ever goes and takes control not only of the economy of a country but also its politicians. Whoever is president in Srilanka or whether the president is a corrupt mass-murderer or a dictator doesnot matter to them, what matters to them is that the country is kept indebted and unable to get out of debt. In other words there won’t be any development in this country whatever our politicians do. People like ShyamanJayathilaka who have moved out of this country donot really care what happens to us. They only care about the image of SriLanka in the western world, because it affects their day to life and personal image in their new countries. This is why they write about the things they do. Sinhalese who have moved out try their best to portray Srilanka as a progressive country, while the Tamils try to present Srilanka as hellhole which they HAD to flee. Both groups do this for the same reasons. All these people should shut up and mind their business, or move back here, and do something constructive to make Srilanka a better place. Maitripala Sirisena is a good, intelligent, honest and kind hearted person. He can’t change this country on his own, and nothing much has changed since he came to power. If he manages to bring positive changes, organisations like the IMF, World Bank, USAID are always there to step in make chaos. Loans to the IMF is a dangerous mistake.